We are delighted with the overwhelming response many of you shown towards our ongoing Diwali Dhamaka Offer of the year. Each one in Saral Gyan team puts best of his/her efforts to provide profitable stocks recommendations backed by sound and unbiased research reports. Saral Gyan team mission is to ensure that your savings grow by investing in equities over a period of time, giving you fabulous returns on your investments. During this festive season, one can save upto 40% on annual subscription services of Hidden Gems, Value Picks, Wealth-Builder and 15% @ 90 DAYS. 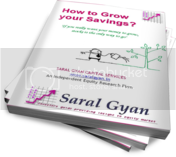 You will also receive Diwali Muhurat Portfolio of 10 Stocks, Saral Gyan eBook "How to Grow your Savings" worth Rs. 599 and Best 3 Hidden Gems for long term, absolutely free! Hurry! Last 2 days, Diwali Dhamaka Offer of the year will disappear on 05 Nov'13 at 11.59 pm. On activation of your subscription, you will receive Best 3 Hidden Gems research reports recommended earlier by our equity analysts and offer great investment opportunity at current level. Get eBook "How to Grow your Savings?" worth Rs. 599, [$ 11.99] Absolutely Free! Under Diwali Dhamaka offer, subscribers will get a Deepawali Muhurat Buy - One lakh rupee portfolio of 10 stocks of small and mid cap stocks. 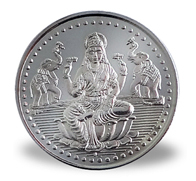 Shipping of Special Diwali Gift (Goddess Laxmi Silver Coin - 10 Gram) will be done within India. Delivery of Silver Coin is not applicable outside country. So what are you waiting for, grab the best deal. Subscribe to avail the best offer of the year and start investing in Hidden Gems and Value Picks of stock market to grow your wealth in long run. An opportunity missed is an opportunity lost! You can pay using credit card (for abroad subscribers), online transaction using NEFT or by cheque / cash deposit. Note: Subscription cycle for all new subscribers joined in Nov 2013 under Diwali Dhamaka offer will be Nov 2013 - Oct 2014. Do not miss out our Diwali Dhamaka Offer of the Year (closes on 05 Nov'13 at 11.59 PM), an opportunity to avail subscription services at best discounted prices. Do contact us in case of any queries, we will be delighted to assist you.